Get Fit to Play Sport or Play Sport to Get Fit? If you’re like me you love to play sport, the competitive challenge of testing your skills and physical attributes against a worthy opponent. But playing sport can take its toll on the body. Chances are you’ve probably had some form of niggling injury to your knees or back, or maybe worse still you’ve had to stop all together and spend a fortune on physiotherapy. Well it doesn’t have to be that way. Many sports related injuries are preventable. The trouble is most people think that because they have a reasonable amount of general fitness, they’re fit to play sport. General fitness is also known as Health related Fitness and incorporates five key aspects- cardiovascular endurance, muscular endurance, muscular strength, flexibility and body composition (the proportion of muscle and fat you have). 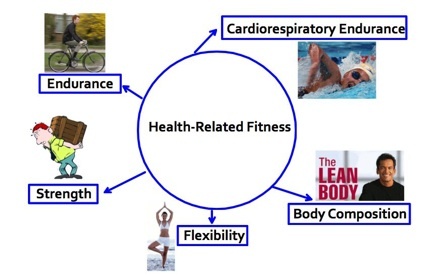 To be truly fit- either for everyday living or for sports performance- requires that all these elements are worked on and are either maintained at a healthy level or are continually improved beyond that level. Being fit for sport means being able to meet the physical demands of that sport. This can be thought of sport specific fitness. To be fit for sport involves additional sport specific skills and physical attributes such as speed and power but these should be developed on top of a broad base of general fitness. 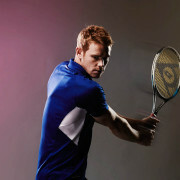 It is true that these sport specific attributes will help you to play harder and last longer. You will be more consistent and make better decisions under fatigue. A lot of people who want to improve their sports performance for these reasons believe that they will get all the speed and power work they will need by playing the sport. Firstly- this is a myth. There is no single sport that can fully develop one quality. Even a 100m sprint requires multiple types of speed. Instead check out these top tips to keep you on the right path. Seek out a sports performance specialist such as a UKSCA accredited strength & conditioning coach who can assess your current levels in sport specific fitness. Let’s not forget that the demands from most sports place very high stresses on the body. Most people are not well conditioned to cope with these demands, but they can be handled better by doing appropriate strength training. To fully develop speed and power you also need to train these attributes in isolation when you’re fresh to maximise their capacities. Playing sport isn’t enough. To develop sport specific fitness without maintaining general fitness across all these parameters can lead to physical imbalances and even injuries. Most sports are one sided or over work certain muscles from repetitive use. So it is important to do work outside of the sport to correct these imbalances by following an injury prevention programme. Working on general and sport specific fitness doesn’t mean you need to do seven different workouts to develop all the fitness attributes. Many fitness activities work one or more of these attributes at the same time. You just need a qualified coach to help you put the training programme together. Sport places high demands on your body. Many of the injuries incurred are preventable. Make sure you invest in your fitness and get fit to play sport! http://athleticperformanceacademy.co.uk/wp-content/uploads/2015/04/bigstock-Legs-of-two-soccer-players-vie-62449595.jpg 593 900 dazdrake http://athleticperformanceacademy.co.uk/wp-content/uploads/2015/05/APA-Logo1-300x156.jpg dazdrake2016-01-28 15:13:412017-01-12 09:07:40Get Fit to Play Sport or Play Sport to Get Fit? This article was originally taken from the Gosling Sports Park website. Francesa Xuereb has been working as part of the APA Team since the summer and has written an excellent article on Strength training for women. Over the past few years, women have been moving away from the cardio part of the gym and taking a step towards resistance training. Yet, a social stigma still exists that prevents women to actively strength train. 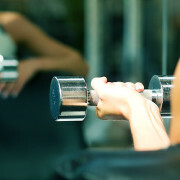 Women worry that they will get massive legs, huge shoulders or super defined biceps. Well I have new for you: that will not happen unless you train, eat and supplement like a body builder and have a genetic predisposition to it! Women lack physiological adaptations that will enable this as well as the correct amount of hormones (mainly testosterone) to support this. In this review we will go through some myths surrounding strength training, benefits of strength training and recommendations for women who strength train. 1) Lifting heavy will make you bulky: Lifting heavy will make you stronger, will burn fat and increase lean muscle mass – hence definition. Women do not have enough naturally occurring testosterone to gain size. Solution: Lift heavy to get stronger, try to up the weight you are lifting as often as you can in order to keep getting stronger and promote progression. 2) Exercise the muscle group you want to lose fat in: We are all predisposed to store fat in certain areas. You need to train your whole body and take care of your diet in order to lose weight. Solution: Use compound full body movement and stay on top of your diet to promote fat loss. 3) I need to do cardio: Sweating does not mean you are losing weight. A concrete number of calories lost also does not mean that it is the most efficient way to lose weight. Solution: Strength train as often as you can or do a combination of both cardio and strength; if you do enjoy your cardio there is no reason to stop it as long as you do it sensibly. 4) There exists 1 universal program: No one programme will work for everyone. Solution: Try different training methods and keep track of your progress. 5) Women cannot train like men: Women can develop strength as much as men relative to their body weight. As such they can use the same training methods, exercise prescription, intensities and volume. Solution: Try different strength training methods; you deserve to use the free weights section as much as the men do. 6) Older women should not strength train: post-menopausal women are more susceptible to osteoporosis and hence should work on increasing bone strength which will also reduce the risk of injury and fractures. Solution: Strength training preserves bone density, improves muscle mass and strength and helps with balance. – Increase metabolic rate due to increased amount of muscle and decreased amount of fat. – Builds a stronger heart, reduces resting blood pressure and improves blood flow. – Helps control medical conditions such as blood sugar and cholesterol levels. – Train the whole body focusing of big muscle compound exercises which are muti-planar and multi-joint ex squats, lunges, bench press and lat pull down. – Use high-intensity, high load training: this will enable bone, muscle, ligament and tendon adaptations. – Aim to train 2-3 times a week using a variety of strength training methods. Can everyone get in peak physical condition or is it all in your genes? For almost 15 years I have had the privilege to train professional and aspiring professional athletes. One might call this high performance physical preparation coaching- and we like to call ourselves strength & conditioning coaches. Having briefly flirted with the role of Personal Trainer in my early days after University I’ve recently started coaching adult general public clients again- delivering an Adult Fitness class twice a week on Tuesday and Thursday evenings. The class is pitched at adults who want to get fit for sport. The premise is that we get you fitter, faster and stronger so you can excel in sport and life. Having reached out to a new audience of adults who clearly want to improve faster, win more and believe getting fitter is the best way to do this it got me thinking- can anyone get in peak physical condition? I’ve already been fielding plenty of questions where keen as mustard weekend warriors are asking me how fit should they be for their age, their ability etc? What is peak physical condition and is it different to elite physical condition? I think the demands of sport dictate the levels of physical condition required at the elite level. It’s natural selection- if the best men and women that play the sport can run, jump and throw a certain speed or distance you are either able to do it too or you can’t. Not everyone is capable of reaching elite levels of physical condition. Below is the testing results for the Pros this pre-season. 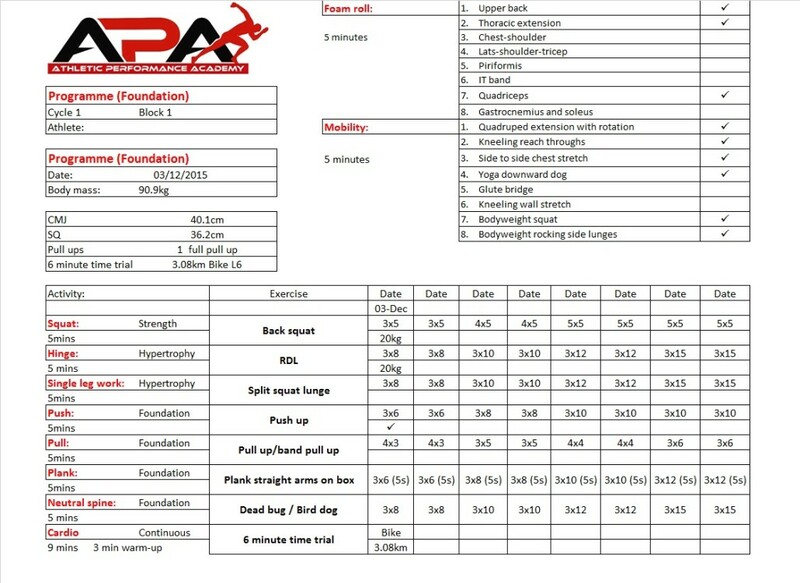 These sport specific fitness tests focus on speed, agility and power. The sample comes from three female pros and six male pros. Overall the group average is slightly below the Target score across all the parameters. This shows me that we have a great opportunity to make some good gains which cannot help but make them even more competitive from an athletic stand point. Of course the athletes are all close to achieving many of the targets- that’s what makes them professional. Tennis is a sport where athleticism is certainly important but there is not a strong linear relationship between physical performance and ranking and many of these players are still achieving very high success in the game. Having said that they need to be thinking about achieving the targets in as many fitness tests as possible as they are not only chasing peak performance but elite performance levels- demanded by their sport. Now not everyone can achieve elite physical condition. So the question then becomes what is peak physical condition for the person who isn’t capable of achieving elite levels of physical performance? I have found the process of helping the general public achieve peak performance fascinating- with elite athletes you always have some sport specific fitness outcomes in mind that are demanded from the sport- you always start with the end in mind. This is because they have a long training history and have a very good foundation of general fitness which they can build sport specific fitness on to. They also have only a few weeks at a time to build fitness components owing to competition schedules, so you tend to focus on the qualities that they need for their sport. With the general public you need to start with the start in mind- the targets that we strive for to reach elite levels of performance may be out of their reach, or may not be the most appropriate types of fitness to aim for in the beginning. They are generally less conditioned but on the up side have more time to train with no interruptions from competition. So rather than shooting for that target we start with building a foundation of general fitness. I have often joked I am a specialist generalist. Clearly in my day to day work with professional Tennis players I am leaning more to the specific demands of the game and specialise in tennis specific strength & conditioning. 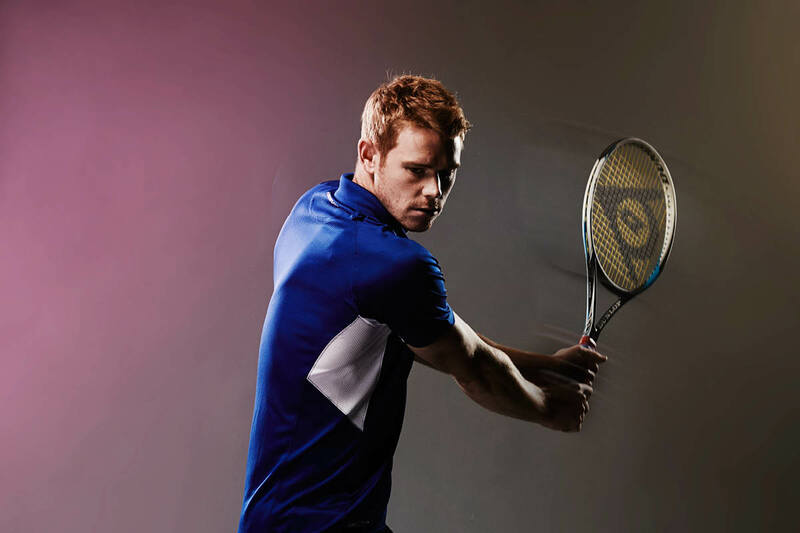 There will always be a market for the coach or company that position themselves as the experts in a particular type of specific conditioning- whether that be suppleness, speed, strength or stamina- or in a particular sport (such as Tennis). People want to be associated with the coaches that they feel are experts in the discipline they want to improve in most. But I have always worked with children who I feel need to train with a more general focus, and now with the adults I am coaching it feels the same. Children need to and adults want to feel more fit in general first and foremost. But what does that mean? For me the journey to peak physical condition starts with building a foundation of general fitness. What I am promising my clients is that I will get them in the best shape of their lives- fit for sport and fit for life. It means I am going to develop their fitness across a range of abilities including speed, strength, stamina, suppleness and skill and in a progressive way. We will address sport specific fitness in due course (qualities like speed and power) but we will firstly make sure we address their general fitness which includes body composition, muscular strength and endurance and cardiovascular endurance. What methods of General Fitness are out there? Crossfit is known as the sport of general fitness. In my opinion high-intensity interval training (HIIT) should be known as the sport of fat loss! People clearly want to feel fit and this is why these methods have such a big following. These training methods have become sports in themselves, as athletes compete to be the fittest or compete to get the leanest bodies with the latest combinations of HIIT. However, I think APA bring something a little different to the table. It’s called PROGRESSION. For me Crossfit doesn’t progress through the various components- it puts them all together from a very early stage. Do the athletes really have the time required to develop the various components including running technique, weight training and Olympic weight lifting techniques? Should they be exposed to them all in one session? It is constantly varied which makes it fun and challenging, but in my opinion there is too much put into the pot at once and I’m not really sure where the end goal is other than the Crossfit games- but even then they don’t know exactly what the demands of the competition will be as they constantly change what the demands of the games will be. Crossfit is something I like on one hand but the components are very high intensity- shouldn’t necessarily all happen in one session, and not everyone is ready for. Same with HIIT- it actually represents just one method in the whole APA stamina continuum- and it’s about half way up the APA mountain. I don’t think HIIT should be the first and only thing used for fat loss. It’s one tool. Once you get to the top (or your peak physical condition) you probably can’t stay there too long- just enjoy the view then start thinking about coming down. That’s why elite athletes plan in rest periods following major tournaments where they have had to reach a peak performance level. It’s time to come back off the peak again and then after some rest get ready for another go. Only this time maybe we get there a bit faster or we take on a bigger mountain!! This is the cycle of training. It must start from where the client’s capacity is currently at and then it is your job as a coach to push them gradually until they reach a plateau in each new stimulus. You train a component or series of components until they have been maximised and then you get after the next thing. I feel very strongly that it takes at least 3 months to develop peak physical condition (see cycles 2 below). 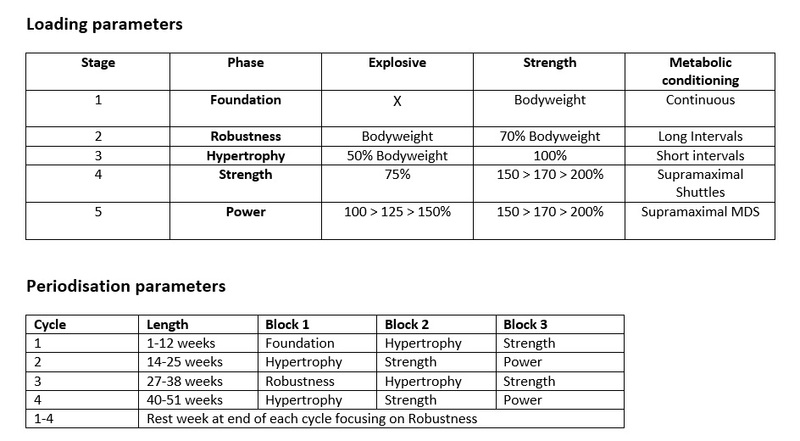 I generally look to develop the body’s capacities towards a peak in three blocks, during a 3 month cycle from hypertrophy to strength to power. Having said that I find most adults need to do a preparatory cycle first (see cycle 1 below) to help restore normal range and function to the muscular system and build general fitness before progressing to the speed/power work that we focus on in the second cycle. So for me a peaking plan will typically work through Hypertrophy to Strength to Power. 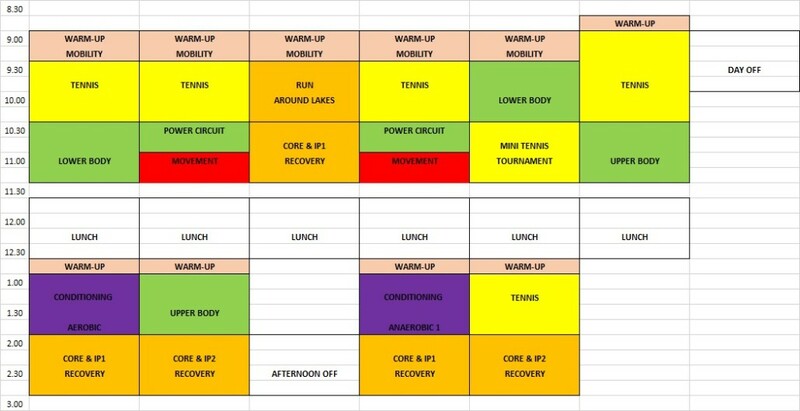 Above is an example of a training plan for Cycle 1- where I have done a preparatory block which focuses on mobility and foam rolling in an extended warm-up, and bodyweight strength. Once they have gone through cycle 1 and cycle 2 by which time they should have reached peak performance, I then come down off the mountain before repeating the whole process in cycles 3 and 4!!! 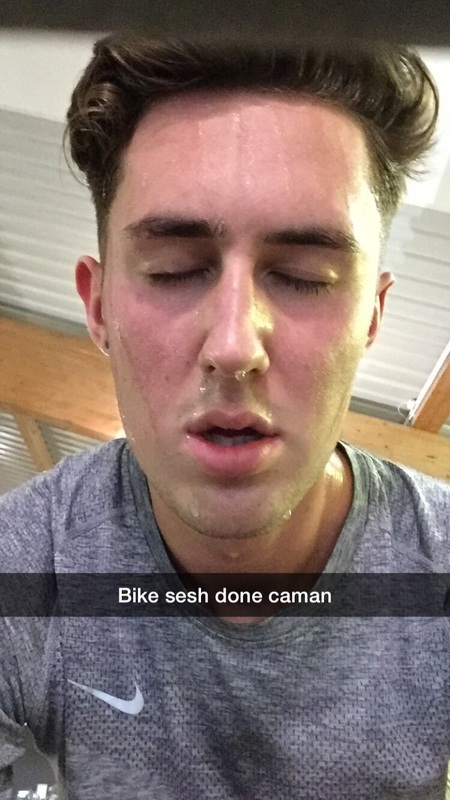 Hope this gives you an idea into what peak physical conditioning training looks like. If you are interested in coming along the journey with APA then get in touch. Our #12weekstopeak Performance Programmes are guaranteed to get you fit for sport and in the best shape of your life! http://athleticperformanceacademy.co.uk/wp-content/uploads/2015/12/447990615652-14324615801.jpg 640 640 dazdrake http://athleticperformanceacademy.co.uk/wp-content/uploads/2015/05/APA-Logo1-300x156.jpg dazdrake2016-01-15 18:03:152016-01-28 10:20:48Can everyone get in peak physical condition or is it all in your genes? Pre-season: 7th December 2015- 3rd January 2016. In case you didn’t see the previous blog we ran a couple of different schedules. 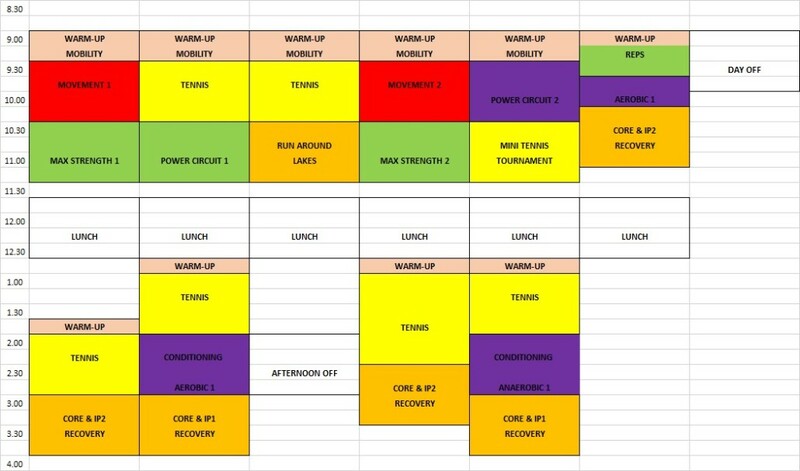 Weekly schedule– an almost daily dose of strength training with a couple of conditioning sessions with half day rest on Wednesday and full day rest on Sunday. Monday Lower body strength day is focused on knee dominant quadricep exercises. 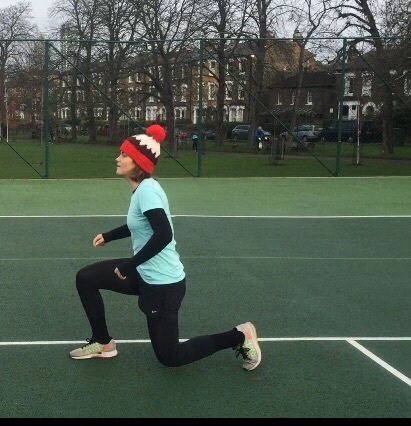 Tuesday is a power circuit which includes lower body strength exercises focused on hip dominant exercises which are paired with jumps and throws. Conditioning is on Monday and Thursday. Weekly schedule– this plan was used with more senior professionals who were already achieving or expected to achieve high levels of strength (>1.5 x BM for a 1 Repetition Maximum on the Back squat). They were more focused on movement and conditioning. There were 4 weeks of training available. We had nine regulars although 18 people were tested in total. There were up to 14 sessions of S&C available each week although the most we saw players attending at base was 10. Some players did sessions at home. Some players were coming back later from tournaments and some players were leaving earlier to go to a tournament! This is the performance landscape of Tennis!! The highest number of attended sessions over the four weeks was 25 in total. This represents about 45% supervised attendance. I would guess that would equate to about a 60% completion rate accounting for sessions done at home. So attendance was not as high as I would have liked. We tested the players on the first day of week 1. I decided not to do a 1-Repetition Maximum (RM) test with the players on day 1 as they had variable amounts of recent strength training experience. I instead opted to use the Linear position transducer (GymAware) to determine bar speed using a submaximal protocol and estimate 1-RM. I was too cautious and used a range of loads that were too narrow to cover the range of 0.5m/s. I deliberately underestimated their 1-RM by about 10-15% just to make sure I didn’t hit them too hard in day one with the > 80% 1RM loads. So for the athlete below I based the percentages off a 1-RM prediction of 125kg even though I knew he was probably capable of 140kg (10% higher). The example above was actually the best of the linear regressions but even though the R2 value was almost perfect (indicating a strong relationship between changes in bar speed and load) the range of bar speed was only 0.88 to 0.59 m/s – much less than the recommended range of 0.5 m/s. So the lesson learned is if you’re going to test their 1-RM then do it with some loads that will cause a bit of a drop off in bar speed closer to the 0.3 m/s speed we know 1-RM to occur at. When I retested in week 3 I used slightly higher loads to predict the 1-RM using the same protocol as above. In the final week more athletes were tested for their actual 1-RM. Other than athlete SP the linear regression was pretty accurate in predicting what the athlete would get in week 4. For those of you not familiar with the protocols we use at APA to measure speed, power and stamina with the tennis players I will write about this in more detail in another blog and show some videos. As already indicated, one of the challenges is that players are dropping in and out of sessions and have variable attendance. Of the 18 athletes who were tested either at the beginning or end of the training block, six athletes were able to complete both the test and re-test four weeks later. For information, 9 of the athletes were Professional players and 9 were 18-and-under players. The average scores above were for the 9 professional players. The biggest challenge was that we had 4 weeks to train. I didn’t want to taper the third week so we could test without fatigue in week 4. That would only give us 2 weeks of full training. So all the tests in week 4 were conducted without a taper and as part of a training session. So if it was a power session we tested jumps, stamina was tested in the conditioning session and so on. So there was still fatigue in the athlete’s body. Note: One athlete took part in the test-retest but did not take part in the pre-season so his data was omitted from the comparison below. Those that took part in the test-retest trial improved in 25 out of 51 parameters, or 49%. 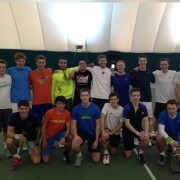 While the numbers are important to reflect on, perhaps some of the things that we really got out of the training block was a sense of camaraderie that is difficult to create in Tennis when often players are in and out of the Academy at different times because of their varying competition calendars. Everyone was encouraged to send in videos and photos of their workouts they did away from the Academy and post on a group we were managing on whatsapp. 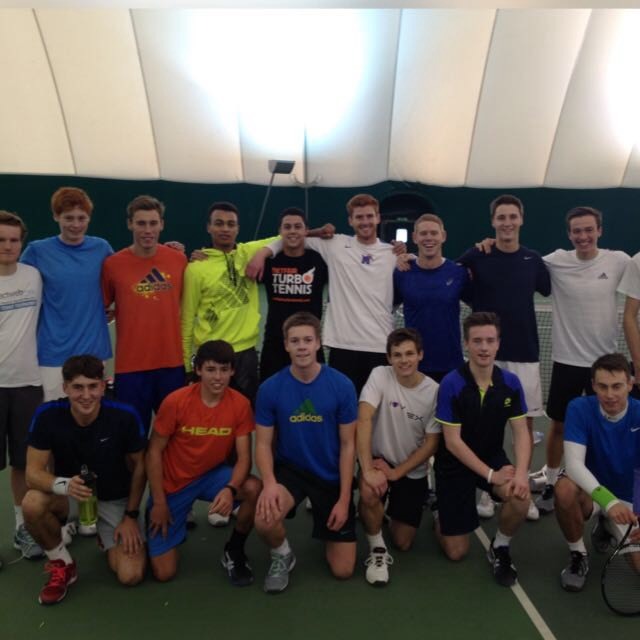 Overall it was a really good laugh, lots of players working hard and plenty of money in the bank for 2016!! !